Two simulation games from Japanese developer Kairosoft are reportedly on the way to the Switch eShop. The first is the 2010 title Game Dev Story and the second is the 2011 follow-up Hot Springs Story. Both will be playable at the Tokyo Game Show later this month. There's currently no specific release date for either title. As the name implies, Game Dev Story allows you to manage your own video game company and make games, as you work your way from a small start-up studio to an industry success. Being a simulation, the title requires you to hire staff, control the overall direction and speed of development and make the necessary changes to ensure your company continues to grow. Hot Springs Story is about building your own resort while juggling the needs of customers. If you want more wealthy clientele, you’ll need to impress the critics by enhancing your resort and managing staff at the same time. Game Dev Story started out as a title on Windows in 1997 and was eventually brought across to iOS and Android in 2010. Up until now, Hot Springs Story has been a mobile exclusive. Kairosoft began in 1996 and carved a niche in the games market with its small-sized simulation games. 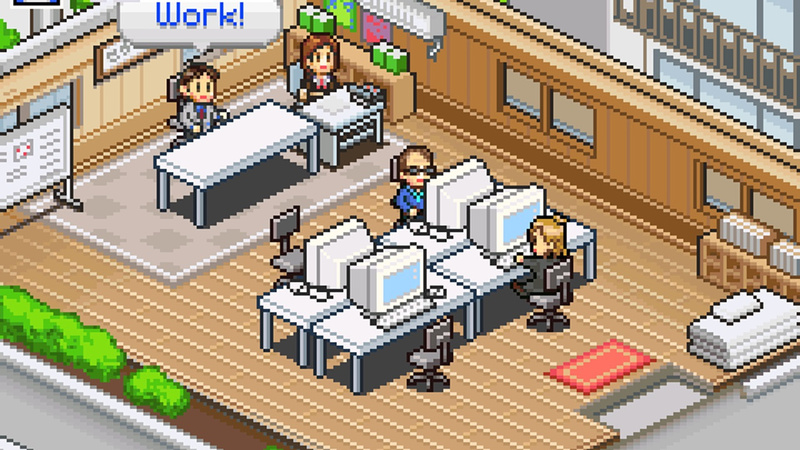 Have you played a Kairosoft game before? Are you interested in more simulation games on your Switch? Tell us below. Might get Game Dev Story when that comes out. The screenshot reminds me of the Gravity Falls episode "Soos and the Real Girl" when Giffany says "The programmers tried to delete me...so I had to delete THEM!" A-anybody else...see that? Just me? Game Dev Story sounds like my type of game! I dunno, I feel like most cartoons start to decline in quality in the third or fourth season. It's usually shows that end their run after maybe 3-5 years that are remembered the most fondly, compared to shows that span decades or receive terrible reboots to the point where people say, "Uggh, this needs to be cancelled already." While I still loved the entire run, I would argue the quality of the writing in Gravity Falls declined slightly after the introduction of Ford. Don't get me wrong, it was still great, but I think Hirsch ended on a high note, and I don't necessarily need more. I rather have Game Dev Tycoon. Kairosoft games are actually really fun for mobile games. I've played about a dozen of them and they're all very addicting, plus no annoying micro transactions (at least for most of them). Some of my favourites are Mega Mall Story, Pocket Academy, Hot Spring Story, Venture Towns, and Dungeon Village. Game Dev Story seems to be the most popular game they've released but honestly I think it's one of the weaker games in their lineup. I'd recommend Kairosoft games to anyone who likes simulation games, as long as they're priced appropriately. Game Dev Story. I remember consuming this non-stop on my phone several years back. It is simple in many ways, but I loved it. Never played the Game Dev Tycoon copycat game, but there was plenty of potential to improve on the formula of Game Dev Story. One problem with the phone version was that it was originally developed for flip phones! So, the controls were all expecting a four way directional thing and I think it had one on the screen? Hopefully it's optimized for Switch better. I have literally bought EVERY one of their games on iOS. @baller98 No, I'm not much of a reader, honestly. I'm a huge Avatar: The Last Airbender fan--it's my favorite show ever--but I don't even know how the comics of that series play out. What about Pool Side Story? I played the heck out of Game Dev when it came out forever ago, and I hear Pool Side is just as addictive. Game development story was fun on cellphones I just hope it's got more content and also should not be worth no more than 7.99 unless there's new content. I'm very excited for this; I love Kairosoft's games, played quite a few. @Tasuki That is what I was thinking. I loved playing that game on my ipad, but I wished it had a better endgame. I highly recommend Game Dev Story. Might get it again in fact, haven't played it for years. Game Dev Story is one of my favourite Mobile Phone Games,, never expected it to come to any console, but I'm glad its coming to switch! Hope its priced sensibly and gets some updates (like a few new consoles to develop for based on the ones that have come out since the game was originally made) like the Nintendo Switch could be the Intendo Change. Played Game Dev and Racing Story and they were fun for a while but once you start to get good the whole thing gets repetitive pretty fast. Game Dev Story is one of the best mobile games out there. If it's successful on Switch they should make a sequel. I played Game Dev Story and World Cruise Story on my kindle and they were so fun! Has a law been passed without my knowledge that any and all management sims released on switch must be pixelated? Game dev story makes sense it was there best seller. 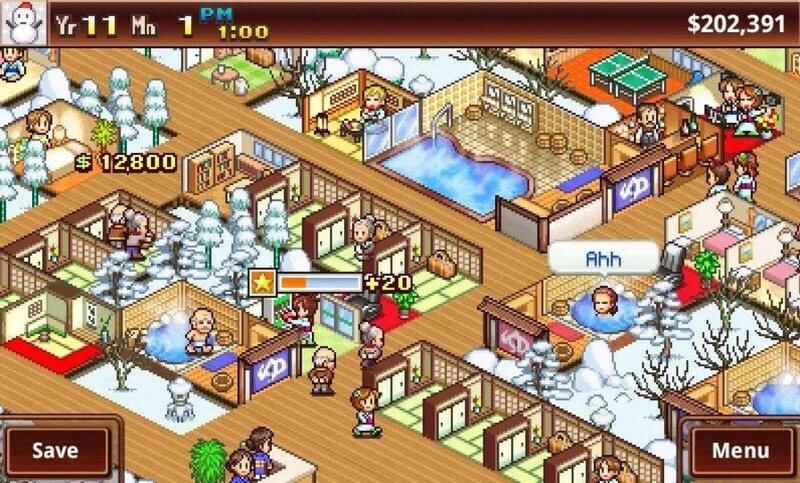 Not sure about hot springs though, it would be nice to see a brand new kairosoft game or game dev story 2. I've played a few of their games on mobile. I loved The Manga Works! Mall story was good too but yeah Game Dev Story would be fun to play again. I hope they are priced fairly. $5/ea? I actually hope we see a lot of Kairosoft, they make fun games and their mascot is cute. I was interested after reading the article, and now after reading the comments, at least Game Dev Story is a day one buy for me. I just love me some simulation games! Gotta keep "meself" busy till FM 2019 launches on Switch..
That's why it's a good thing Kairosoft has been doing this for years and were already hip to plan. Developing a non-pixelated management sim, now, would ya? And if you were... I mean, obviously, you wouldn't be planning to bring that to the Switch platform now, would ya? Randomly been playing tis game this week. I'm between phones and using a loner iPhone5 and thought I know I will get on some Game Dev while I have this! Its a good game and worth ago if you have never played it. For me to get it on switch I would need to see some extra content. There is plenty of room for more of this game. New players beware of random hardware blackouts! Just when you think you are about to produce a hit game, Bam! There goes your high scores. I want to try the game dev one! Played the hell out of Game Dev Story some years ago on mobile. Very fun game. But then, unless it has been updated since the old releases, I can't see myself playing this one again. Unless it is priced really cheap, which it won't, because we know it won't. At least in Canada it won't.